Susan’s art practice involves making images representing the dramatic landscape of North West. The effects of atmospheric light, colour texture and reflection are represented by prints and paintings using natural inks and pigments manufactured from local minerals, precious metals and organic dyes adding to the provenance of the image. Susan has become involved in image making that is derived from exploring how the extraction and quarrying processes have impacted on the appearance of the landscape. From geographical and geological layers she represents the physical vision. To expand the images they are overlaid with precious metal. The images consist of layers of painting, drawing, print and photography. The way the land has been formed, informs the process of her image making. Susan’s exhibition Emergence, ‘Drawing from the Land” during 2016 explored the possibility of blending images and formations left by the extraction process, with the ideas from Emergence theory. This is a way of looking at the dynamics of complex processes. 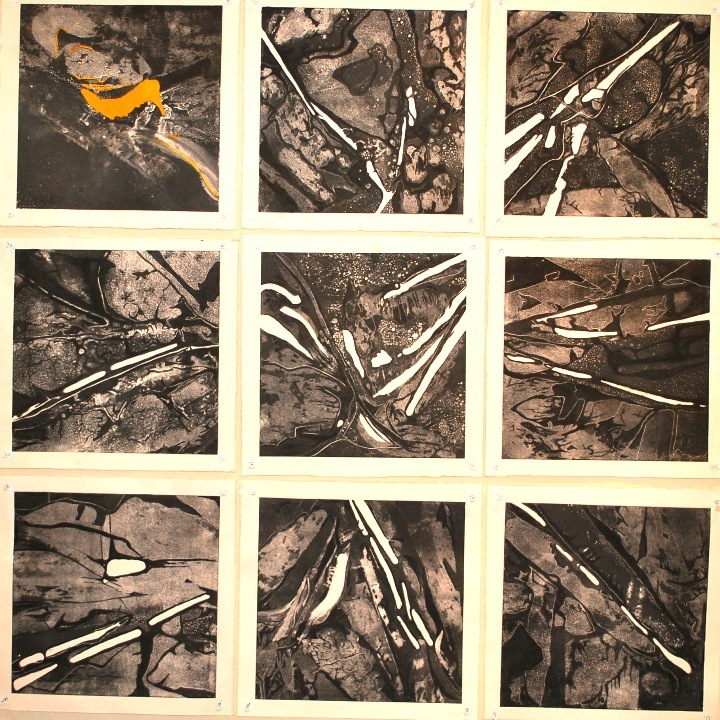 An example would be viewing several images in a painting installation, exploring strata and geological formation. When placed together, a secondary image appears, consisting of lines and structures. This is more identifiable in the monochrome visuals, where the light and dark areas become linear and spatial, leading one’s eye in, around and out of the image.